Interviews can be awkward, particularly about the part of getting the interview started outside of asking basic questions that have most likely already been asked and answered on the application form (name, age, place of residence). Knowing the best icebreaker interview questions to ask allows the interviewee to become more comfortable and, therefore, feel freer to creatively and efficiently express themselves during the interview process. It also helps the interviewer feel more at ease to ask the questions that need to be asked. The interviewer also gets a better sense of who the applicant is and what type of employee they can be in the future. A lot of individuals sitting down for an interview might already have another job. For this reason, they may have made time in their current day’s work schedule to be there to take part in the interview. It’s customary to address the issue of time with a candidate before they come in for an interview, notifying them of how long the interview typically takes. However, they may still be concerned about a time crunch, which may leave them stressed and more anxious throughout the entire interview than they might otherwise be. It’s a good idea to, right at the start, reiterate the approximate length of time you’ve allotted for the interview. It’s also a good icebreaker interview question to ask them if this is still acceptable to them, as well as asking if they need a “hard stop” time. By asking this question, you communicate that it’s perfectly acceptable for them to set a time limit on the interview that gets them back to work or anywhere else they need to be in a timely fashion. It immediately relieves any additional pressure they might be feeling and helps them give more thorough and genuine answers to the questions being asked later on in the interview. Depending on the type of position being offered, having a broad sense of what an individual enjoys doing and what they do in their spare time says a lot about who they are, what makes them tick, and how they operate, even in a work setting. This is especially important if the role to be filled requires any type of creativity, including flexibility in scheduling projects and getting tasks accomplished on time. One of the best icebreaker interview questions to ask potential candidates that generally hits all the marks in this area is, “What do you need to make you excited about coming to work every day?” The answers can range from one candidate to the next and will paint a clearer picture of what this individual wants and needs, as well as how they operate, whether it is more creative or more analytical. It is especially helpful for making sure that the candidate fits the position. It can also be helpful in the event that more than one position needs to be filled. If the candidate isn’t right for the position they’re interviewing for, they might be perfect at another spot in the company. 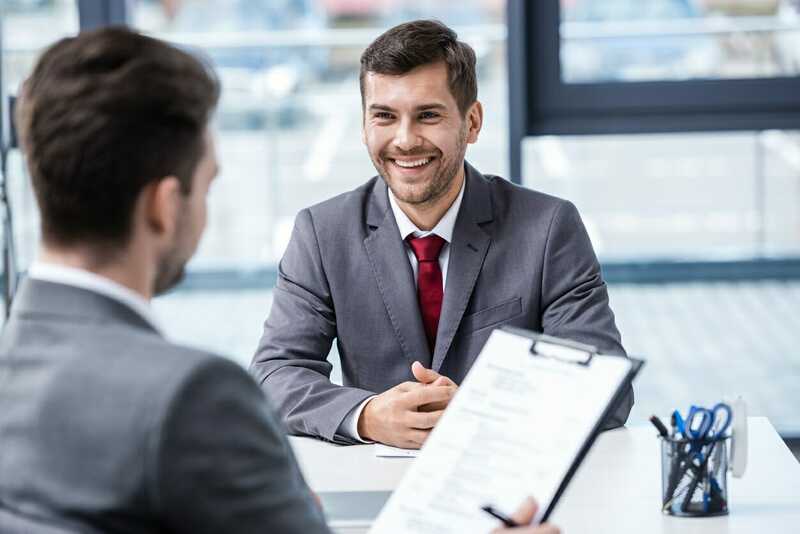 Most interviewers ask candidates to describe themselves, and, in a sense, it is generally a good icebreaker interview question to ask because it enables the candidate to showcase themselves. However, there is a better way to get the same response while also getting more feedback. Instead of asking the candidate to describe themselves, ask them how their boss would describe them. Phrasing the question in this way allows the interviewer to glean three pieces of information fairly quickly. First, the question still enables the candidate to showcase themselves and reveals what they pride themselves on and what they believe others, specifically their boss, notice and appreciate about them. The question also reveals how honest a candidate is willing to be, both with another person and with themselves. It shows how self-aware they are and how forthcoming they are willing to be about all aspects of themselves, weaknesses as well as strengths. This is especially important information to have about a new hire. Finally, the question reveals what type of manager or overseer they work with best. The candidate will almost inevitably describe their boss in some way while answering this question and, based on how they answer or what they say, it will reveal the manager’s style and how the candidate responds to that particular style. If this candidate is ultimately hired and there are options for who the new employee can work under, the answers given to this question can reveal where the new hire will fit best. There are a lot of different approaches that can be taken in giving interviews. Icebreaker interview questions are important because they can get logistical issues cleared up immediately, put the candidate at ease, and reveal aspects about the potential hire that can be beneficial to know later in the interview or when the individual is hired. Interpersonal SkillsInterpersonal SkillsInterpersonal skills are the skills required to effectively communicate, interact, and work with individuals and groups. Those with good interpersonal skills are strong verbal and non-verbal communicators and are often considered to be “good with people”.